A historic locomotive, built by Trevor Guest of Stourbridge in 1950 it was originally supplied new to the Voryd Lilliput Railway at Rhyl – named “Sonia” after the builder’s daughter, the engine stayed at Rhyl less than a year. 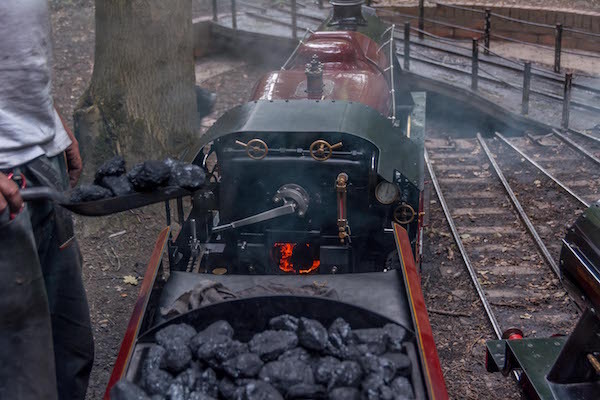 In 1952, the engine, complete with four carriages was sold to Lowestoft Borough Council for £2000 to work on the sea front there – the cost of the railway, complete with platform, turntable, water tank and an engine shed was a further £2000. 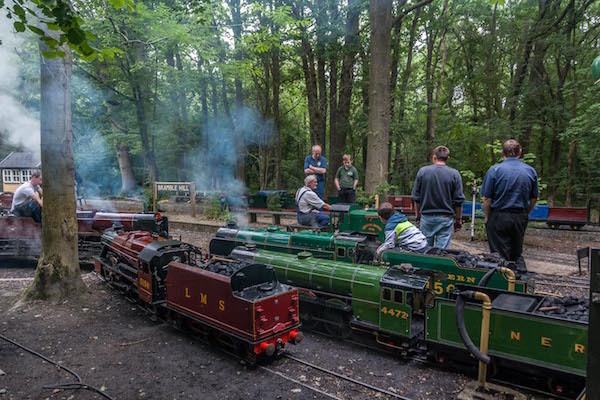 Working twelve hour days in high season, from Whit Saturday until the last Sunday of September, the engine pulled 60 000 – 70 000 passengers each year around a 200 yard circle of track situated on the Esplanade, the fare was 9d. 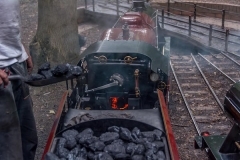 By 1966 the engine was in need of an overhaul and was disposed of by the council, moving to W&P Stone (Builders) Ltd of Lancing, Sussex – the price of £550 reflecting her condition. 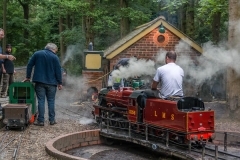 In 1969 the engine again moved, this time to Lionel Creed’s private railway at Malvern Link, Worcestershire. A major overhaul followed, at which time the engine was finished in bright red, lined in yellow and then ran until 1978, when the house was sold – the railway was dispersed, with the locomotive bought by Michael Oliver and moving to Scotland. 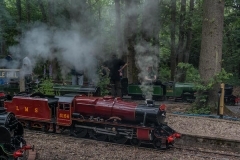 Repainted again, this time in black, and renamed “Ayrshire Yeomanry”, the engine first steamed at Lockgilphead in September 1980, after which she moved to Kerr’s Miniature Railway at Arbroath for the 1981 season. 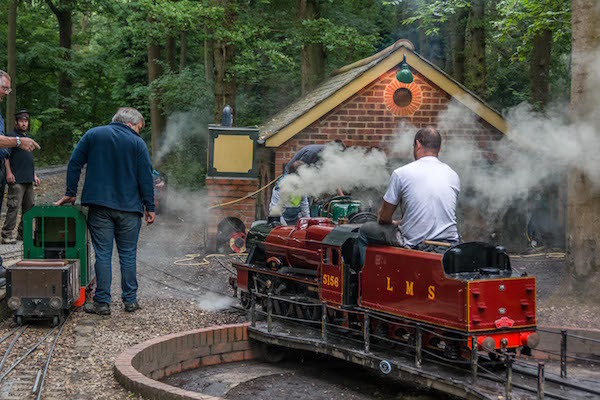 In 1986 the engine had a major rebuild over an 18 month period, returning to steam in May 1988. 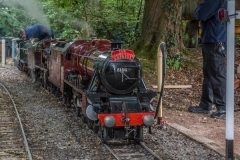 Two years later she again visited Kerr’s, this time for a visit of the Heywood Society, before a six year lay-up on expiry of the boiler certificate. 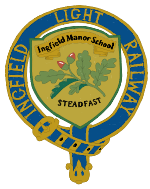 In October 1996 the engine moved South once more, to the Ingfield Manor Railway. 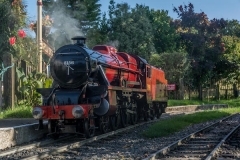 After a trial steaming, it was moved to the Brighton Engineerium at Hove for attention to a variety of jobs and repaint into LMS Crimson Lake. 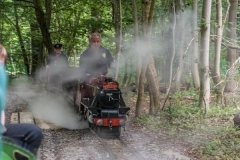 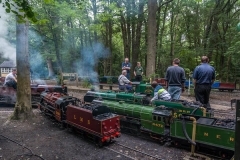 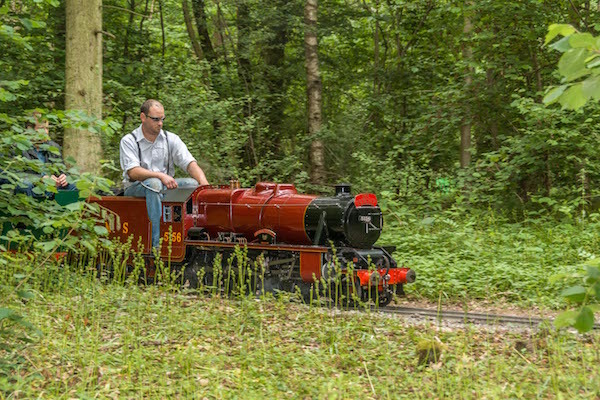 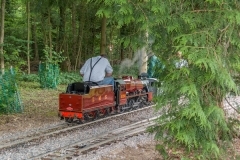 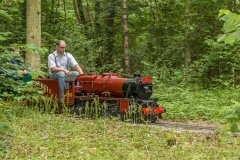 Since that time, this powerful engine has run regularly at both Ingfield Manor and the South Downs Light Railway at Pulborough. 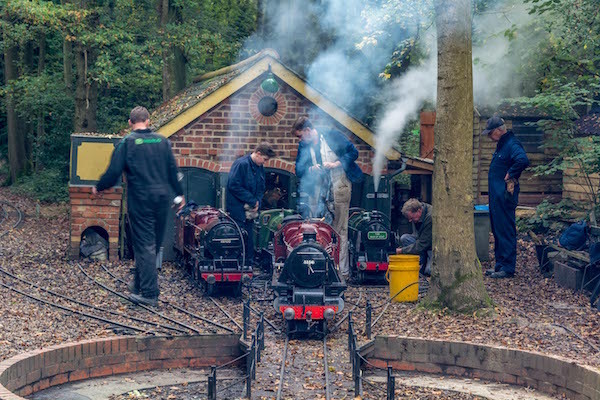 In 2010 the boiler was removed for a comprehensive overhaul, inspection and hydraulic test before refitting to the frames. 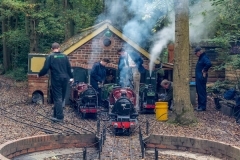 In August 2012 the engine changed hands once more and returned to Ingfield after a spell of being dry stored away from site since April 2011. 5156 can be seen in regular use at ILR events, both private and public.